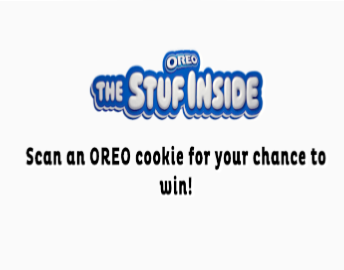 Oreo The Stuff Inside Sweepstakes & IWG – Win a trip to NYC! Win a trip to New York City or instantly win a 2019 Jeep Wrangler! ENTER SWEEPSTAKES HERE – Oreo Sweepstakes page. To enter without making a purchase, click “Enter without camera”. ENTRY LIMIT – Limit: One (1) Sweepstakes entry and one (1) Instant Win Game play, per day, per email address/person during the Promotion Period. ELIGIBILITY – Open to residents of the 50 United States, D.C., and Puerto Rico 18 years of age or older at the time of entry. SWEEPSTAKES ENTRY PERIOD – Promotion begins at 12:00 am Eastern Time (“ET”) on February 4, 2019 and ends at 11:59 pm ET on March 6, 2019. PRIZES – One (1) Grand Prize: A trip for two (2) to New York City, New York. Trip package includes round trip, coach-class air transportation for winner and one (1) guest from a major airport near winner’s home to one (1) of the major airports that services the New York City, New York area (departure and arrival airports determined by Sponsor in its sole discretion); two (2) nights’ accommodations at a hotel determined by Sponsor in its sole discretion (single room, double occupancy); round-trip ground transportation between destination airport/hotel (with transportation company determined by Sponsor in its sole discretion); two (2) tickets to the Broadway production Waitress; a gift bag; and $900 USD in spending money for winner only. Winner must travel on the dates determined by Sponsor in its sole discretion or prize will be forfeited. Trip must be booked at least twenty-one (21) days prior to departure. Pending availability, Sponsor will determine final travel dates at its sole discretion with input from winner. ARV: $3,900.00 USD. Actual value may vary based on airfare fluctuations and distance between departure and destination.